» UCLA has “a long way to go,” columnist Vinny Bonsignore wrote, with its loss to Nebraska exposing the team’s lack of toughness. » The Bruins couldn’t stop the run, but an inconsistent offense didn’t help the cause either. 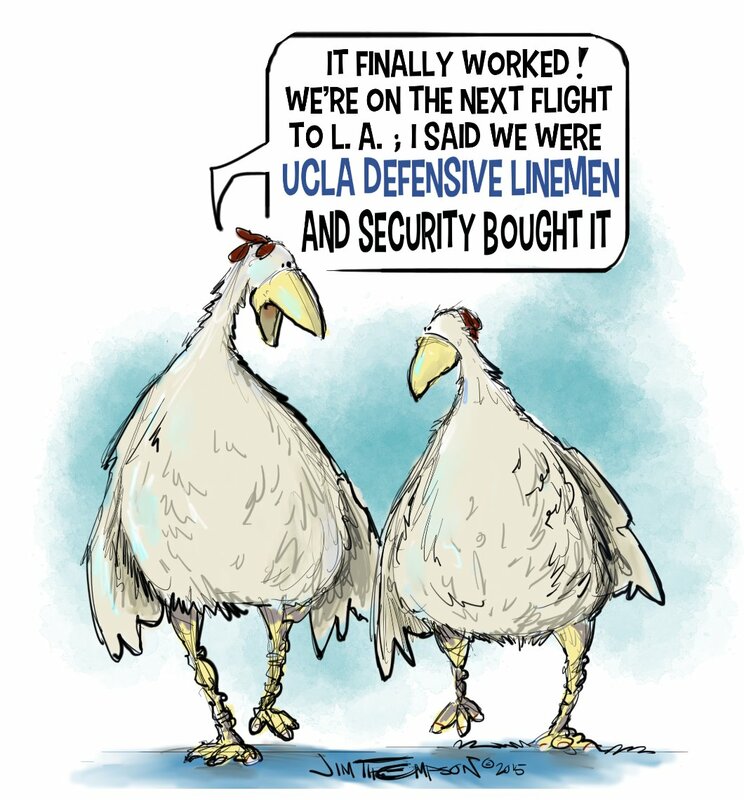 » After injuries and early departures, the UCLA offensive line was forced to start a walk-on in the Foster Farms Bowl. UCLA’s Jim Mora, Kenny Clark, Josh Rosen and Jaleel Wadood talk about the Bruins’ 37-29 loss to Nebraska in the Foster Farms Bowl — one in which the Cornhuskers ran the ball at will. This hasn’t been the season that UCLA fans expected. Heading into September, almost everyone had their eyes trained on the newcomer behind center. Would five-star recruit Josh Rosen live up to the hype? Can a veteran cast win big even with a true freshman quarterback? Turns out, Rosen was the least of the Bruins’ problems. As the teenager threw for 3,350 yards, UCLA’s once-vaunted defense fell apart, losing three starters to season-ending injuries in the first three weeks. That the Bruins still ranked fourth in the Pac-12 in allowing 25.1 points per game was a feat in and of itself — keeping themselves in the conference race until the final week of the season. However, facing Nebraska in Saturday’s Foster Farms Bowl might be the least enticing postseason matchup of the Jim Mora era. Can UCLA find enough motivation to clinch a fourth straight nine-win season? For all Rosen’s talent, the one knock on him as a recruit was the thought that he might be difficult to coach. “He had a reputation for being somewhat aloof or arrogant, or kind of a know-it-all,” said Mora, who first met Rosen in early 2012. “I have not seen that person in a couple years.